3.Purposes for Collecting Personal Information: https://quickandeasyremovalistsydney.com.au collects and uses personal information for the following Identified Purposes:(a) to understand customer needs regarding https://quickandeasyremovalistsydney.com.au ’s services; (b) to develop and provide our web site and our products and services for our customers; (c) to fulfill your requests for products, services or information; (d) to communicate with customers and site visitors, when necessary, and to inform customers of upgrades where applicable, as well as of other products and services available from https://quickandeasyremovalistsydney.com.au , its affiliates; (e) to allow customers to access limited-entry areas of https://quickandeasyremovalistsydney.com.au ’s site; (f) to personalize some of our services and products for you and to deliver targeted advertisements and offers from https://quickandeasyremovalistsydney.com.au and affiliates; (g) to bill accounts and maintain payment records; (h) to comply with any applicable law, regulation, legal process or government request; (i) to respond to a legitimate claim, or to address our reasonable belief, that you are violating the rights of any third party or any of the agreements or policies that govern your use of the https://quickandeasyremovalistsydney.com.au site or any https://quickandeasyremovalistsydney.com.au product or service; (j) to protect the services, products or rights of https://quickandeasyremovalistsydney.com.au , including but not limited to the security or integrity of the https://quickandeasyremovalistsydney.com.au site; and (k) to identify and resolve technical problems concerning https://quickandeasyremovalistsydney.com.au ’s site, products and services.https://quickandeasyremovalistsydney.com.au also uses personal information in an aggregate form (i.e., not individually attributable to you) for its business analysis, operational, marketing and other promotional purposes. 5. Disclosure, Processing and Retention: https://quickandeasyremovalistsydney.com.au does not sell, rent or disclose your personal information to anyone else, except:(a) to someone you have designated to act as your agent, for one or more of the Identified Purposes (listed in Section 2, above); (b) to https://quickandeasyremovalistsydney.com.au ’s employees, independent contractors, subsidiaries, affiliates, consultants, business associates, service providers, suppliers and agents, acting on https://quickandeasyremovalistsydney.com.au ’s behalf for any of the Identified Purposes; (c) as necessary if https://quickandeasyremovalistsydney.com.au has reason to believe that disclosure is necessary to identify, contact or bring legal action against someone who may be causing injury to or interference (either intentionally or unintentionally) with https://quickandeasyremovalistsydney.com.au ’s rights or property, other users of https://quickandeasyremovalistsydney.com.au ’s web site, products or services, or anyone else that could be harmed by such activities; and (d) to respond to judicial process and provide information to law enforcement agencies or in connection with an investigation on matters related to public safety, as permitted by law, or otherwise as required by law. In addition, as we continue to develop our business, we or our affiliates may sell or buy other businesses or entities, or we may merge with another company. In such transactions, personal information may be one of the transferred business assets. Also, in the event that https://quickandeasyremovalistsydney.com.au or substantially all of its assets are acquired, your personal information may be one of the transferred assets. Your information may be stored and processed in the Australia, or in any other country in which https://quickandeasyremovalistsydney.com.au or its affiliates, subsidiaries or agents maintain facilities. By using this web site, you consent to any such transfer of information outside of your country. After your account/registration becomes inactive (that is, if you request to be removed from our database), https://quickandeasyremovalistsydney.com.au will keep your personal information in its archives. Your information will then be used only as necessary for tax reasons or to prove https://quickandeasyremovalistsydney.com.au ’s compliance with any applicable law. 7.Security Safeguards: https://quickandeasyremovalistsydney.com.au will use reasonable efforts to protect customers’ personal information. Clients have the right to request that inaccurate or incomplete information be amended as appropriate, by contacting https://quickandeasyremovalistsydney.com.au on the above contact details. 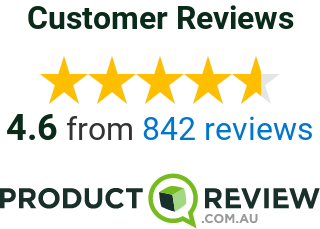 https://quickandeasyremovalistsydney.com.au will promptly correct such personal information.